The Alabama Department of Archives and History has an excellent, if scattered, collection of online resources. There is a lot here, including both items (e.g. documents, photos, videos, sound files, maps) and databases (e.g., military records, voter registration lookups, and so on). This is a particularly useful archive collection for genealogists and folks looking into their family history. Video Archives, mostly oral histories. Civil War Soldiers database. Over 229,000 records, including names, service (infantry, cavalry, artillery, etc), regiment, company, and even a list of battles each soldier fought in. 1867 Voter Registration database. To give you an idea of size, a search on the name Smith produces almost 2,000 names, from Allen to Zachariah. The database includes race (about half the Smith's are African American), so this is especially useful for black family history research. You can even access a PDF of the original Register pages. World War I Goldstar database. 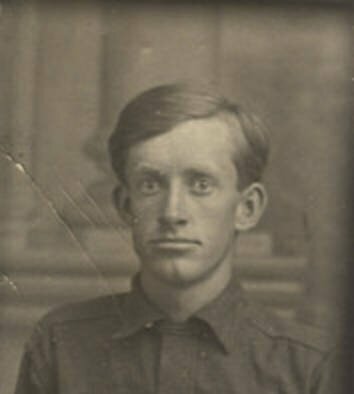 This database of WWI dead from Alabama is fairly small, but has some amazing content for some of the soldiers, including original letters announcing the death, extensive biographical information, and even an occasional photograph. Be sure to spend time exploring here. A few other online and offline Alabama archives collections of note are also listed, as are other Alabama Internet Resources, like maps, history, Civil Rights pages, and so on.